All Your Streaming Services in One Place. Track, search, discover, and watch tv shows and movies from Netflix, Amazon Prime, Hulu, Showtime and over 100 more services. 1. Universal TV & Movie Search Guide - Find where to watch TV Shows and Movies streaming online. 2. Personalized Suggestions - Based on the things you like. 3. Personalized Watchlist - Keep track of what you watch and what to watch next. 4. Personalized Daily Reminders - See what's new each day. 5. Price Comparison - Find the free & cheapest ways to watch. Yidio is the premier personalized TV & movie guide that helps you find where to watch TV Shows and Movies streaming online and discover new things to watch. Save time and money by using one app to manage your TV and movie life. Universal search to easily find where to watch TV Shows or Movies available across more than 100 sources like Netflix, Hulu Plus, Amazon Prime, Xfinity, DirecTV, HBO GO, HBO NOW, Crackle, MTV, CBS, Vudu, FOX, CW, PBS, Lifetime, YouTube, A&E, History Channel, MAX GO, Showtime, Cartoon Network, Comedy Central, VH1, ABC, Starz, EPIX and Fandango, all in one app. What are you waiting for? With Yidio, finding what you want to watch has never been easier. 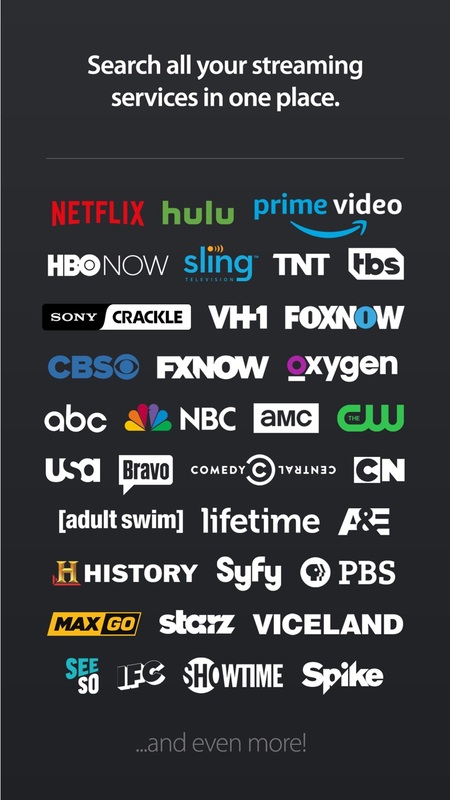 **PLEASE NOTE** While some streaming services make their movies and TV shows available for free (Crackle, The CW, Tubi TV), other streaming services require a subscription or cable/satellite login (Netflix, Hulu, HBO GO) or a payment to rent or buy (iTunes). Yidio, however, is free to use to find where to watch your favorite movies and TV shows across all those services. Many of them require their app to be downloaded in order to watch. Yidio helps you install their apps and deep link into them. Yidio is a top rated movie and TV show app with thousands of 4 and 5 star ratings! Smart – Don't know what to watch? Yidio helps you discover new movies and TV shows with advanced search, filtering and recommendations. Simple – Once you find what you’re looking for, just tap play to start watching on your iPad, iPhone or TV (via Airplay, Chromecast or Roku Remote). 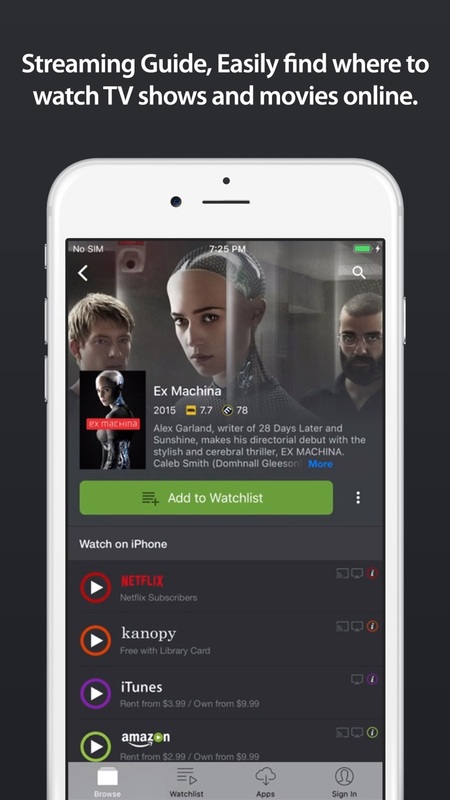 Personal – Tell Yidio which movies and TV shows you want to watch. It will notify you when and where they are available. Upgrade now to Yidio Premium to remove all ads from inside the Yidio app. Unlock real-time notifications when a favorite TV show or movie becomes available. Plus, get help faster with priority assistance from expert Yidio support staff. Try Yidio Premium free for the first 7 days! After that, your Yidio Premium monthly or yearly subscription will auto-renew each month with a cost of $4.99 per month or each year with a cost of $47.99 per year. - Any unused portion of a free trial period, if offered, will be forfeited when the user purchases a subscription to Premium. Universal search & discovery for any TV show or movie!